Rendezvous Cafe & Wine Bar, O'Fallon, MO. Information, Photos and Reviews. We are a coffee shop and wine bar. Open at 8am daily and serve breakfast all day long. Menu consists of breakfast, , appetizers, soups, salads, sandwiches, pizza and great desserts. We have music every Thursday, Friday and Saturday from 7-10pm. 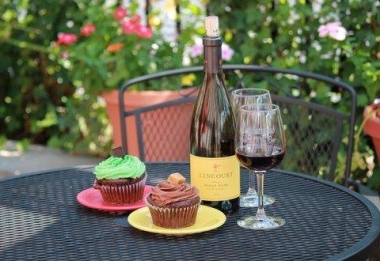 The Café holds wine tastings, beer and spirit tastings, painting classes, cooking decorating, murder mystery shows, comedy club, book signings, and other fun events. 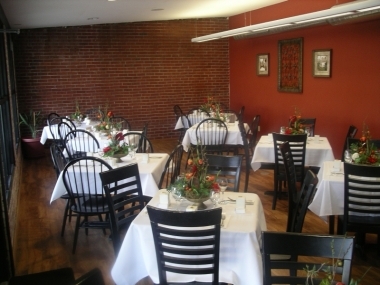 We have a banquet room for meetings, showers, birthday parties, etc. There is no cost for the room, you just have to spend $150 during the week and $200 on a Fri, Sat and Sun in order to use the room. 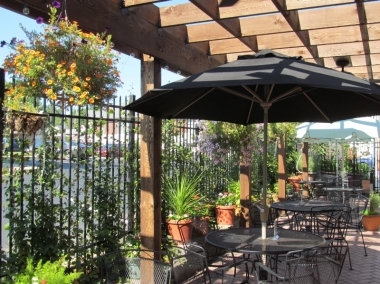 We have a nice quaint patio on the side of the building and a patio out front. We have a full bar with over 450 wines from around the world and an average of 30 microbrews. We are a retail wine shop also. Retail items are for sale from Republic of Tea, Stonewall Kitchen and others. Our coffee is also available for purchase and is from Chauvin Coffee, a St. Louis Company. Nobody has reviewed Rendezvous Cafe & Wine Bar yet, Be the first. You are submitting a booking enquiry. 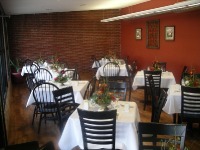 Rendezvous Cafe & Wine Bar will then contact you by email with details of availability and prices.